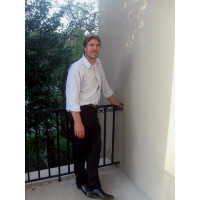 Brian Cate (aka B Dean) was born in Manchester, NH, moved to Charleston in 1999 and never looked back, embracing the artistic culture and community of a city like no other. Creating original works in a wide range of styles, mediums, and genres, from classic pin up work inspired by the artists of the 40’s, to outsider art, to architectural illustrations, and much more. You are just as likely to find Brian’s unique style of work hanging in a gallery, printed on a denim jacket, or gracing the pages of a magazine. No one ever knows what Brian’s next inspiration or creation will be, or where you might see it. 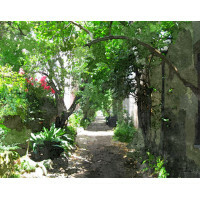 "Modern Pointe in Black" is an original painting that experiments with the contrast of light and ..
Art Print of original graphite and watercolor painting "View of Arthur Ravenel Bridge from Magnol..
"The Pineapple Fountain" series is an original oil painting on a recycled wood panel, inspired by..
Art Print of "Stolls Alley" by local Artist B Dean in Charleston, SC. 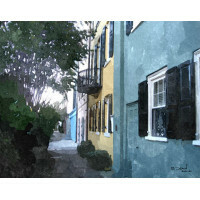 Full color laser print ..
Art Print of "Rainbow Row" by local Artist B Dean in Charleston, SC. 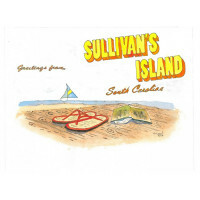 Full color laser print o..
An original watercolor and ink painting of sandals on a dock at Sullivan's Island, SC. 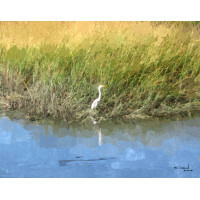 Styl..
Art Print of "Heron at Magnolia" by local Artist B Dean in Charleston, SC. 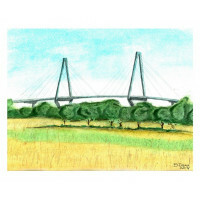 Full color laser p..
"The Arthur Ravenel Bridge" series is an original oil painting on a recycled wood panel, inspired..
Set of five (5) half-fold greeting cards with envelopes. 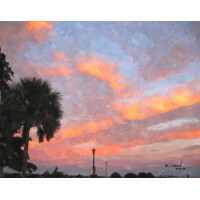 This beautiful set of fine art greeting ..
Art Print of "Battery Sunset" by local Artist B Dean in Charleston, SC. Full color laser prin.. 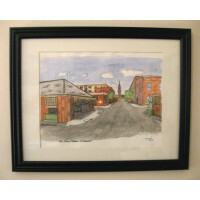 Original watercolor "Market and Church" by local Artist B Dean in Charleston, SC. 11"x14"..